Where can I find the UPC code and Proof of Purchase? 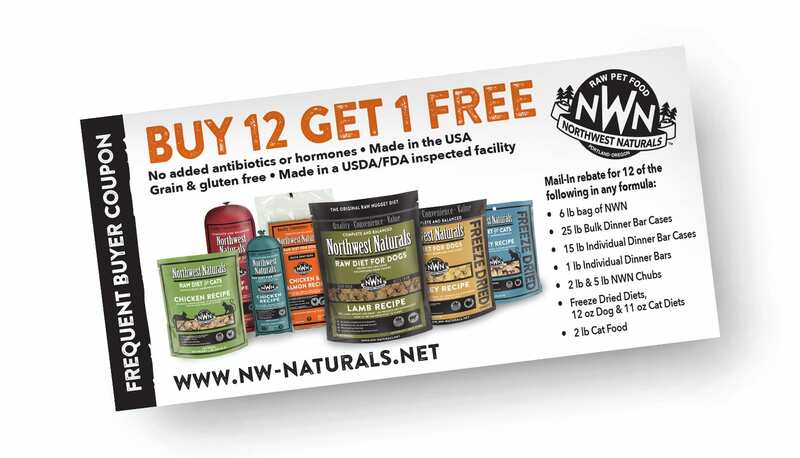 Once received and processed, Northwest Naturals sends the customer a voucher for the free product of equal or lesser value. The customer takes the voucher to an independent retailer to receive their free product. If you are purchasing large amounts or cases, please give your retailer a call and make sure they have enough products in stock. Make sure you use it right away, there is an expiration date on your voucher. Retailer will submit the voucher to their distributor for credit. Some retailers may manage their own Northwest Naturals frequent buyer program on their computer, eliminating your need to keep UPC’s and receipts. Please inquire with your favorite retailer to see if they currently offer this service. Thank you for choosing Northwest Naturals!